Vitamin B-12 is a nutrient that does a lot for the body. It helps make your red blood cells and DNA, and helps keep nerves healthy. Its active form is called methylcobalamin. Food sources include meat, poultry, shellfish, dairy and eggs. It can also be obtained in supplement form. People take it to support cardiovascular health, to maintain the central nervous system and to boost energy. 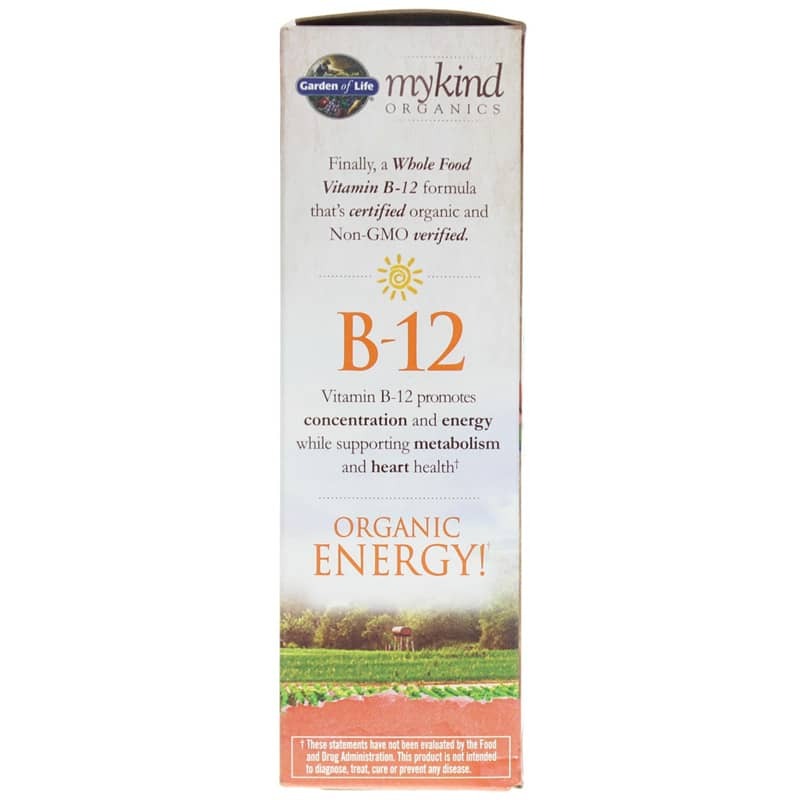 Garden of Life's mykind Organics offers a natural supplement called B-12 Organic Spray that promotes energy and concentration, and supports heart health and metabolism. This supplement is suitable for anyone, but especially for vegans, vegetarians, older adults and pregnant women. It is made only from real, nutritious food, and contains over 30 fruits and vegetables. This formulation contains no synthetic binders or fillers. It is easy to take - just one spray a day! 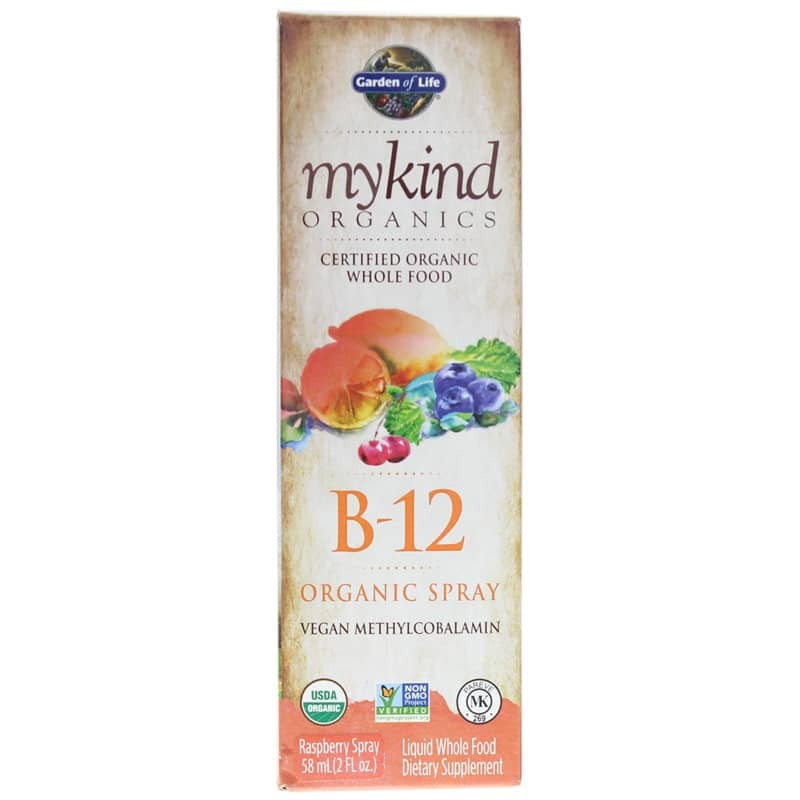 If you're looking for a natural supplement that promotes energy and concentration, and supports heart health and metabolism, check into Garden of Life's mykind Organics: B-12 Organic Spray. Order online today! 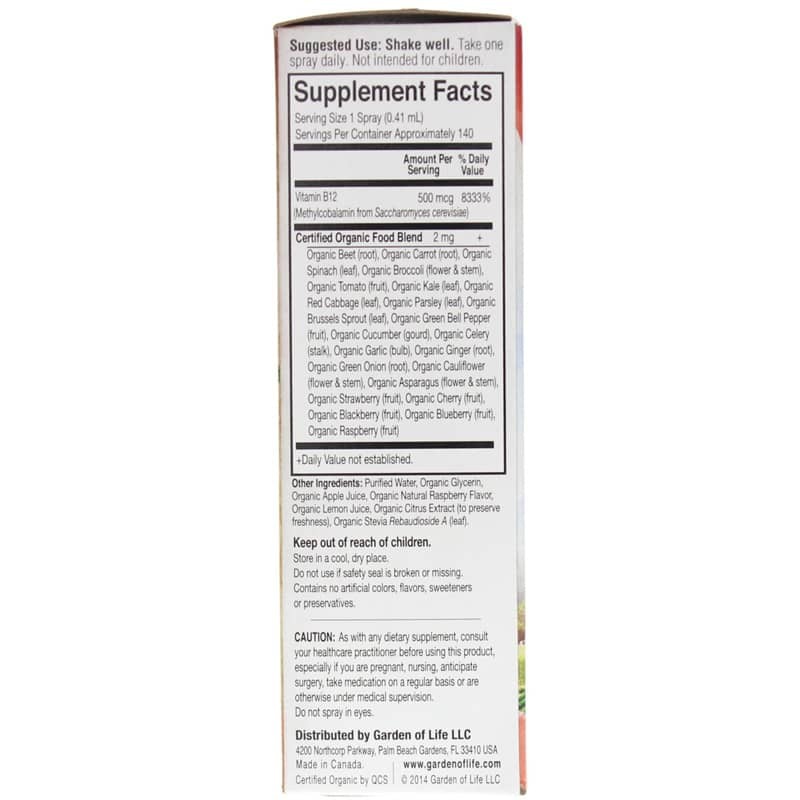 Contains NO: GMOs, gluten, artificial flavorings, sweeteners, colors or preservatives. Vegan. 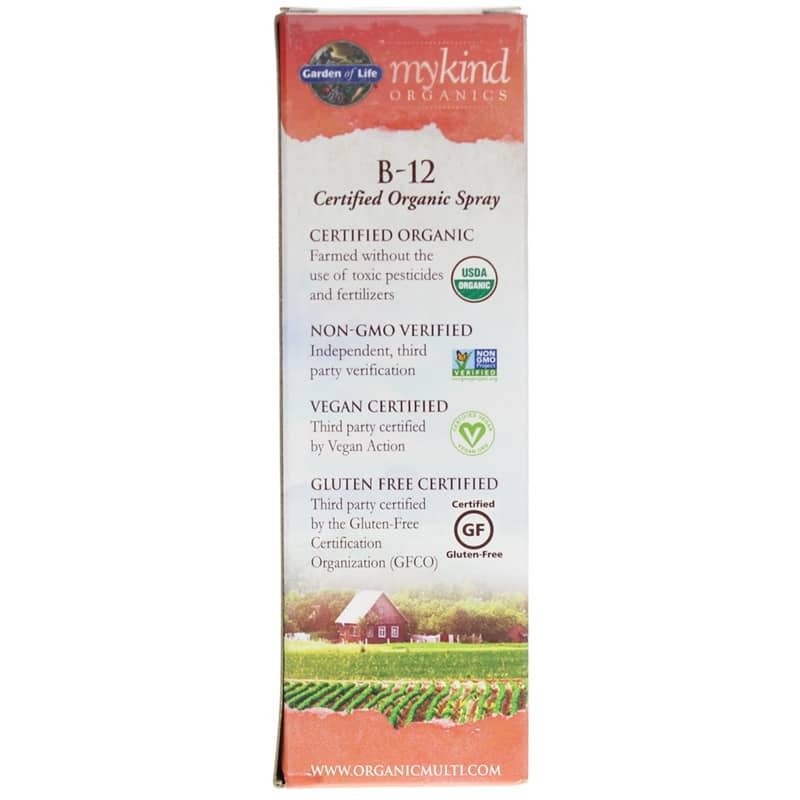 I have been using the B-12 organic spray for about a week now and I have already noticed a big difference in energy levels. it tastes great and I am very happy with the quick results.